I hope that you had, or are having, the most amazing summer break ever. For me, my break is over because my first day of school is this week. By now the end-of-summer dread is over, and I am excited to be back in the classroom with a fresh batch of students. 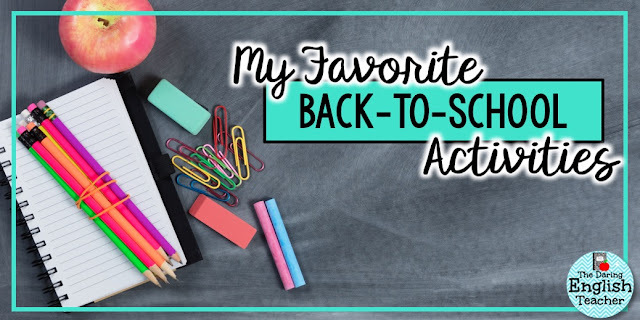 Here is a quick list of activities I’ll be using in my classroom this back-to-school season. Back to School ActivitiesThis back-to-school resource packet has so many great activities and icebreakers for you to use. My favorite activity is the collaborative quilt. Students love contributing their square to the quilt, and it helps brighten your classroom from the first week of school. What better way to introduce a growth mindset and encourage collaboration than challenging your students to an escape room activity during the first week of school? 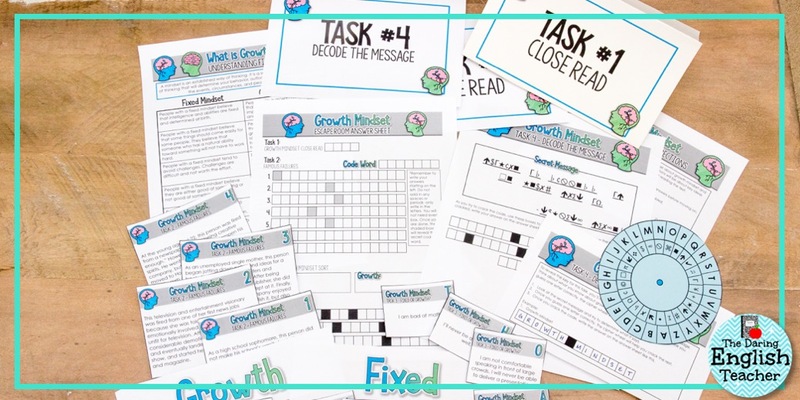 This growth mindset escape room includes multiple tasks and challenges for students to unlock as they learn about growth mindset, goal setting, and famous failures. Email EtiquetteWithout fail, students fill our inbox with horribly written emails. It’s a considerable teacher pet peeve and annoyance, but so often we forget that this can be a teachable moment. Last year I taught this email etiquette mini-unit during the first week of school, and it was a complete game-changer. About 99% of the student emails I received were pleasant, polite, and well-formatted. I am a stickler for routines, especially routines that are meaningful and help students become better writers. 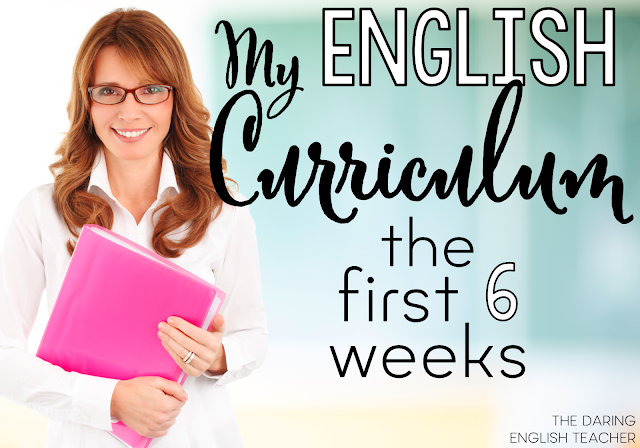 I highly encourage teachers to include some form of sentence combining in their curriculum because it helps students actively focus on improving their syntax and writing. 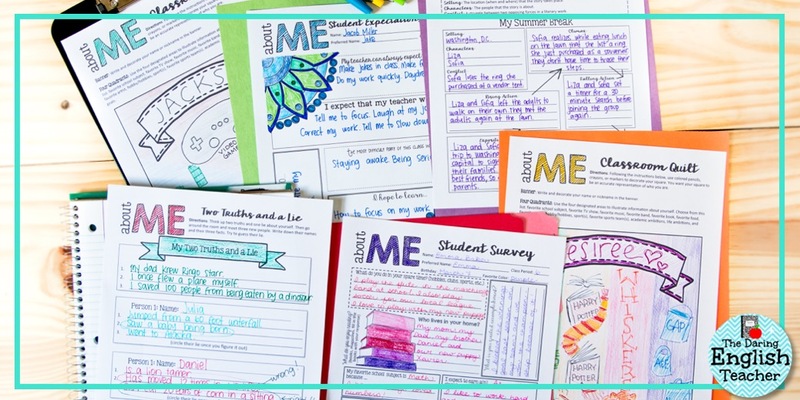 There are enough sentence combining bell ringers in this resource for the entire school year, and by spending just five minutes a day on combining sentence, your students’ writing will improve exponentially. 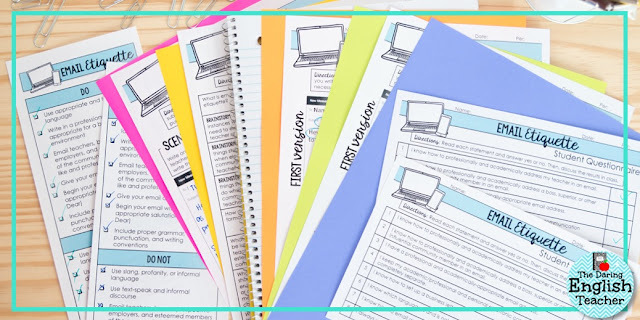 Free Back-to-School Student SurveyIf there is one thing that you should definitely do the first week of school, you should spend some time getting to know your new students. Here is my FREE back-to-school survey that will help you get to know your new students.